My wife Ruth and I are just returning from a remarkable trip to Jewish Ukraine and Israel with the Global Connections Peoplehood group (I am writing this on the plane). The mission brought together program participants from Greater MetroWest and Arad, Israel, to see first-hand how our support is truly helping to sustain and build Jewish life in the former Soviet Union. I wanted to share my impressions. Ukraine is a very poor country with approximately 200,000 Jews. They have been through 80 years of Soviet atheist rule, interrupted by the Holocaust, in which three quarters of the community was murdered. Our Federation’s overseas partner, The American Jewish Joint Distribution Committee (The Joint), is literally saving Jewish lives on a daily basis. 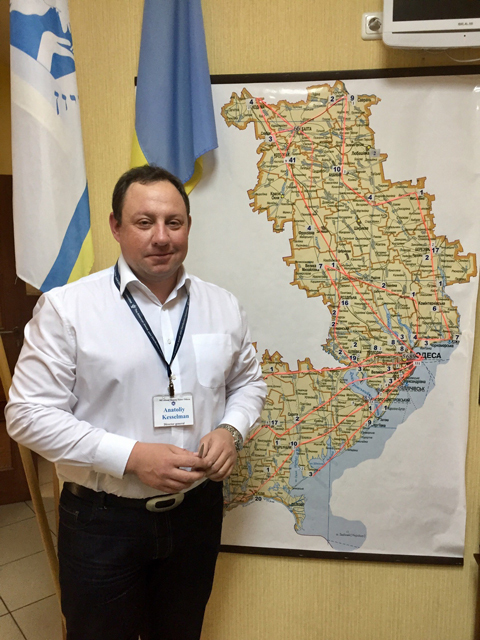 We met with the head of the Hesed Jewish social service agency in Odessa, which is financially supported by our Federation. The photo, left, shows him with a map marking the location of each of the clients they serve, with numbers showing how many clients are at each location. In a province larger than New Jersey — sometimes with just one poor, elderly Jew in the middle of nowhere — Hesed provides supplemental food, heat, medicines, and social connection to the needy Jewish elderly. As a direct result, their elderly clients live an average of 14 years longer than others in their region! Ruth and I had the opportunity to visit three homes of elderly Jews in the small city of Cherkassy and the nearby village of Korsun. All were dependent on food and home care from the Jewish community. 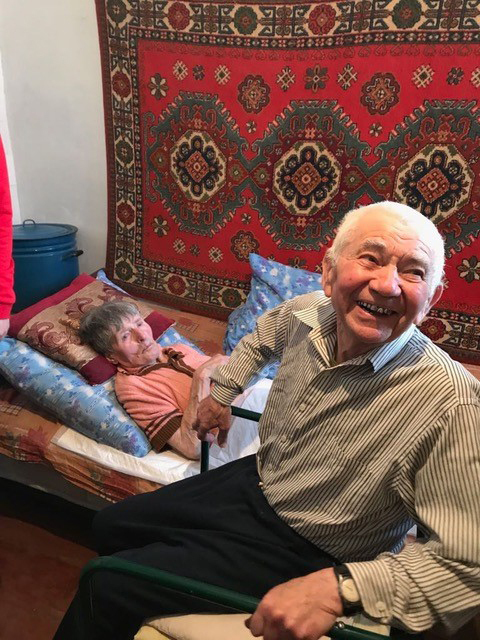 In one home, pictured here, a 90-year-old man took care of his bedridden wife in a house for which Hesed had also provided the gas heater, refrigerator, and indoor toilet. The neighbor still had to use the outhouse. This couple would not have survived this long without such help. After a lifetime of Soviet discrimination and repression, and having survived the Holocaust, these Jews often experience the Hesed program as the first good that has ever come from being Jewish. The other side of the story in this community is the revival of local Jewish culture. Hesed also functions as a Jewish community center, busing in home-bound elderly for social and religious interaction, sponsoring Jewish enrichment at a local preschool, providing Sunday school classes through high school, offering an Active Jewish Teen program (modeled on BBYO, but only in the Former Soviet Union countries), and running a one-week Jewish family summer camp. Tikkun olam (repairing the world) is important, but so is the tradition of Kol yisrael arevim ze lazeh — all Jews are responsible for one another. This extends beyond our home community and Israel. Our experience on this trip emphasized the opportunity for saving Jewish lives and building Jewish life in the rest of the Diaspora. 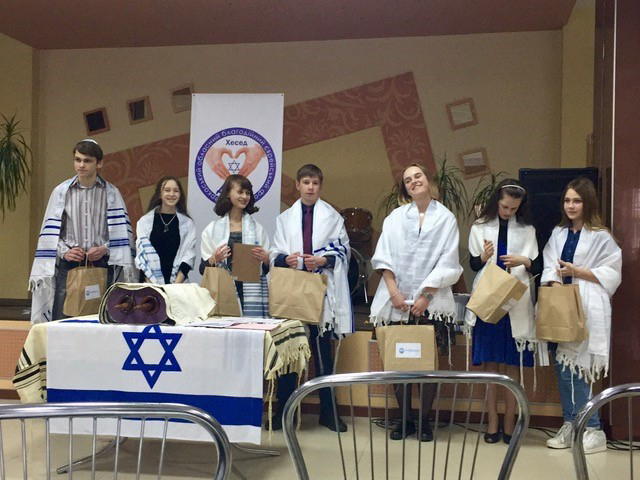 I am proud that our local Jewish Federation supports this work, both by supporting The Joint, and through direct support for the local Hesed in Cherkassy.